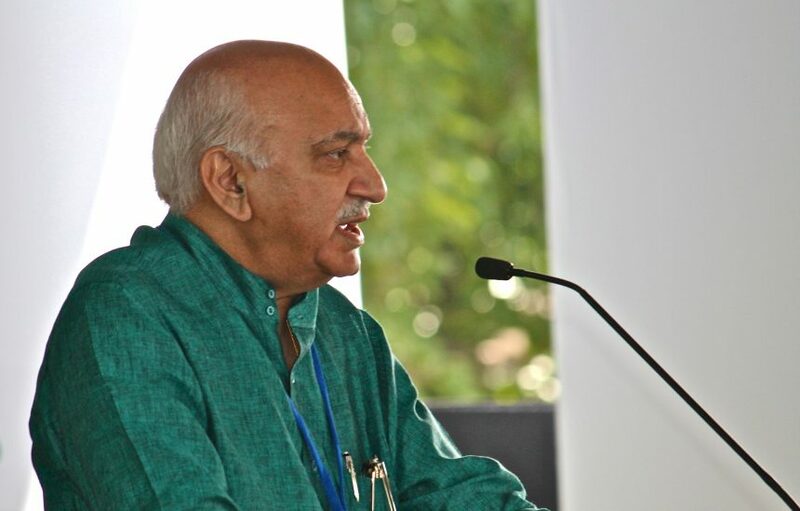 A thought-provoking talk by well-known journalist and author MJ Akbar on the challenges to modernity in India held the audience in captive attention. The national spokesperson of the Bharatiya Janata Party and the Rajya Sabha MP from Jharkhand began by discussing what he called his genuine belief that India will be the defining nation of the 21st century. He asked the audience, “What makes me make such an ambitious claim? A claim that could be dismissed as ultra-nationalism,” before delving into a bit of the country’s historical background. He explained that centuries ago, we were a wealthy country; we had science and technology. And that if India began the history of European colonisation, India can begin the history of decolonisation as well. “But the real historical moment is much larger than the collapse of colonisation,” he claimed. Between 1850 and 1950 every single empire known in history collapsed. The Chinese, Japanese, Indian, Ottoman and Russian empires among the world’s greatest empires collapsed. Every single political structure that held the world together encountered this. And as these structures collapsed, the idea of the nation-state began to replace them. Bringing the discussion back to the present, MJ Akbar then stated that the real challenge of the moment is in finding out what modern nations do with nationalism. This, he said, is where the Indian Constitution becomes the most important document of the postcolonial world and for the postcolonial world. According to him, at its essence, the Constitution defines the meaning of modernism and not merely nationalism. Thirdly, he said, is the principle of Gender Equality – “We cannot be a modern nation without this.” He observed that from 1955 to 2015, there has been a massive revolution in our way of thinking, and we’re doing this on the basis of economic empowerment. He spoke at length about the rising economic empowerment of women in the country.